Looks like fun! Intriguing weekend styling! I love the outfit, you look so cute!!! Seriously I can’t say this enough….you find the best deals “EVER”!!!! Love denim on denim. I stay away from sweatshirts at work unless they are a solid and can be dressed up with a blouse underneath. i’m not usually that fond of denim pants (i do like their practicality, but i rarely think of them as anything special :D), but your polka dot ones stole my heart! i love the whole getup, and that retro diner looks adorable! Thanks!! 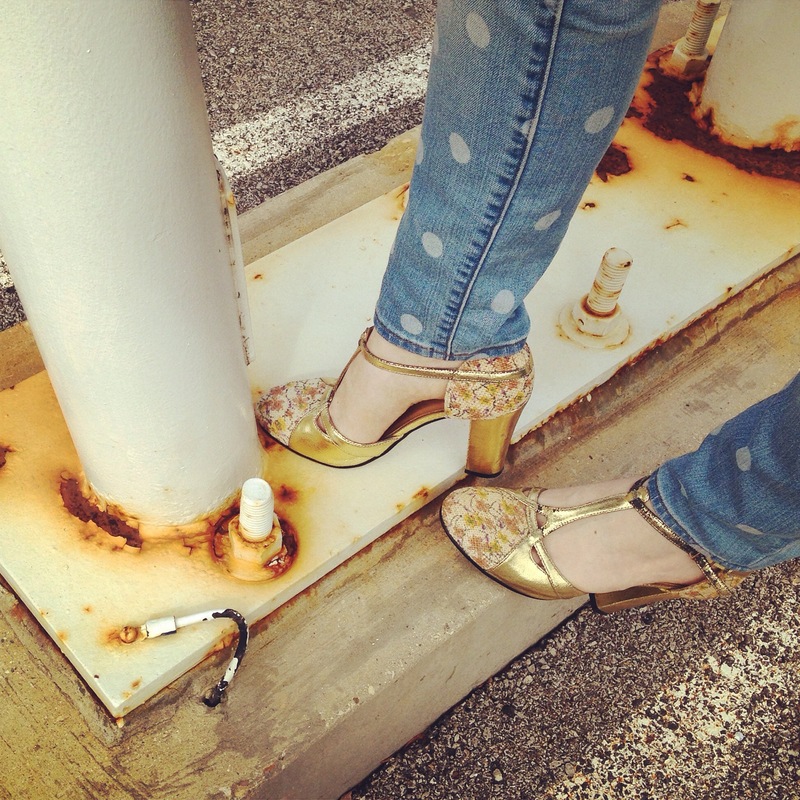 I love the polka dot pair too! You look beautiful on these colors mixed, those pair of jeans is way too cute:). Thank you~! I feel like I’ve been growing it out forever!! LOVE those jeans and the scarf!! Also, how do I still own nothing denim apart from jeans?! A shocking oversight on my part. That’s a good point! The Anthro versions seem to be a little dressier, but agreed, they aren’t very versatile no matter where you get them! Love the first photo! 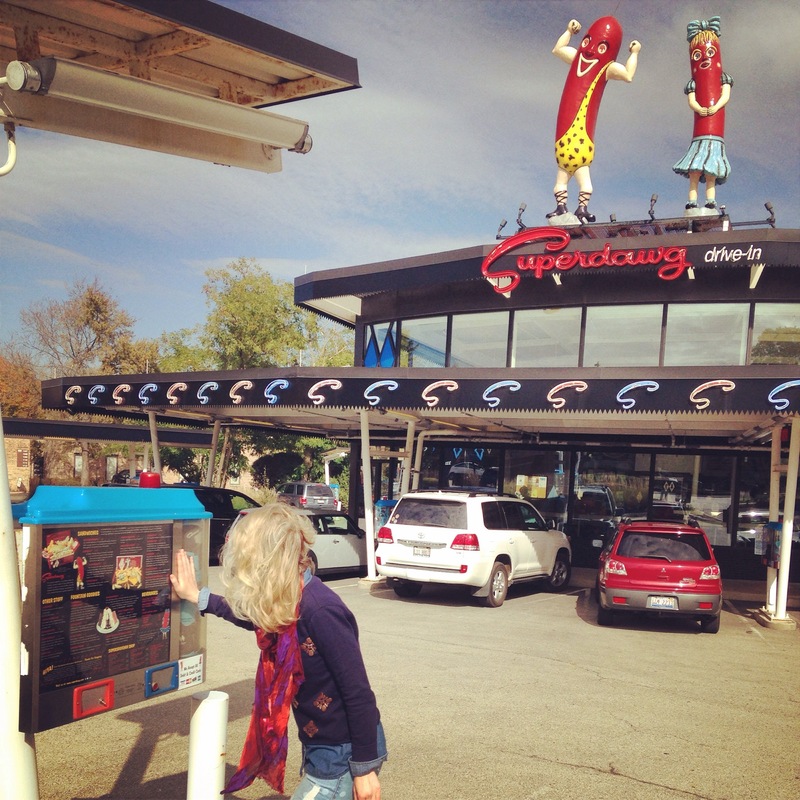 Superdawg looks like such a cute retro drive-in, reminds me of the old A&W drive-in fast food restaurants…Not sure if you guys have A&W (fast food restaurant chain) in the US? Don’t remember seeing any when I’ve been cross-border. 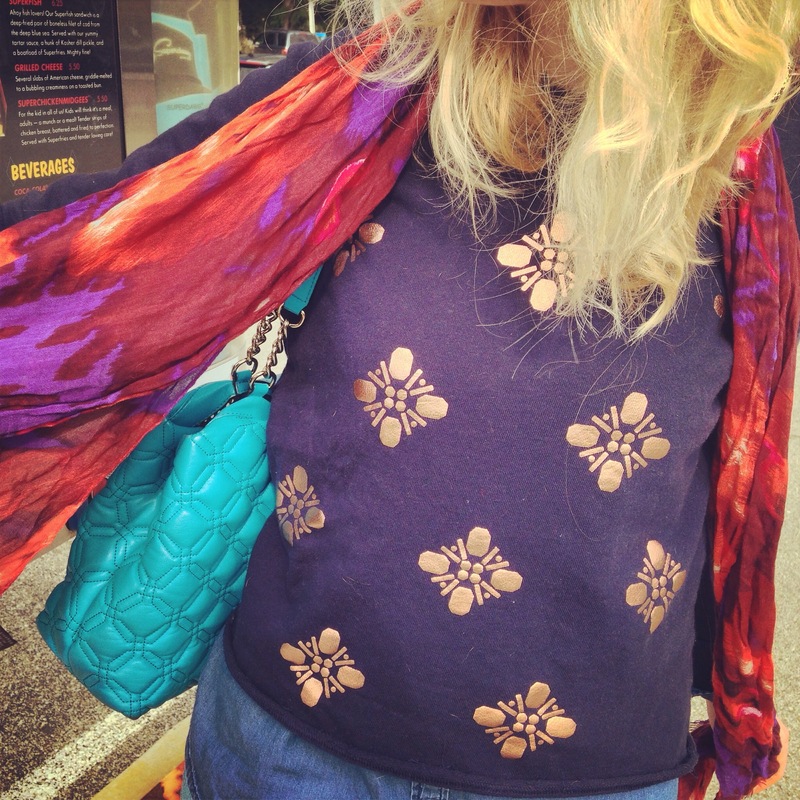 Anyhow, great colour and detail on your sweatshirt. Perfect weekend look. Yes! It’s a similar concept :)~!! So cute look , I like how you matched the sweatshirt with the shoes, it’s perfect combination! You know, I am not sure I can pick out one item here and say I love it the most, because this whole ensemble is so lovely! I love how it all flows and works together..the denim on denim, with the scarf, sweatshirt..everything , just goes so perfectly! Love this on you..
Love this look, The images are very classic Chloe ad with the hair flying around your face. stopppp the presses! those heels are di-effing-vine!